The Witcher 3: Wild Hunt won't be out for more than a month, but CD Projekt has nonetheless announced two big expansions that will collectively add another 30 hours to the game: Hearts of Stone, slated to come out in October, and Blood and Wine, expected in early 2016. Hearts of Stone, with an estimated ten hours of new content, will set Geralt off into the wilds of No Man's Land and the back alleys of the Redanian city of Oxenfurt as he struggles to complete a contract given to him by the mysterious Man of Glass. Blood and Wine will tack on another 20 hours of game-time in the new region of Toussaint, a land untouched by war but hiding "an ancient, bloody secret." Both expansions will add new adventures, equipment, enemies, and "characters both new and dearly missed." 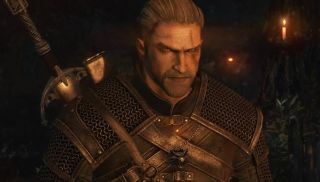 Alluding to earlier promises of free DLC, CD Projekt Red co-founder Marcin Iwiński explained that the studio views these releases as true expansions, more akin to, say, the Bloodmoon and Tribunal add-ons to Morrowind than the smaller-scale DLC that's common today. "We remember the time when add-on disks truly expanded games by delivering meaningful content. As gamers, we’d like to bring that back," he said in a statement. "We’ve said in the past that if we ever decide to release paid content, it will be vast in size and represent real value for the money. Both our expansions offer more hours of gameplay than quite a few standalone games out there." An "expansion pass" is now listed on The Witcher 3 website, although the links weren't live when I hit them. CD Projekt says the suggested prices are $10 for Hearts of Stone, $20 for Blood and Wine, or $25 for the expansion pass, which includes both. It will also be available bundled with the game for $80, but Iwiński urged gamers who aren't comfortable with paying for the expansions up front to wait. "Don't buy it if you have any doubts," he said. "Wait for reviews or play The Witcher and see if you like it first." The Witcher 3: Wild Hunt comes out on May 19. For now, you can get a taste of what's in store with our bearrific hands-on preview. Update: CD Projekt has clarified that currently, the expansions are only available via the expansion pass, either separately or purchased with the game.